One of the things that made Snapchat so popular is that any important moment you share using the app will expire at some point. 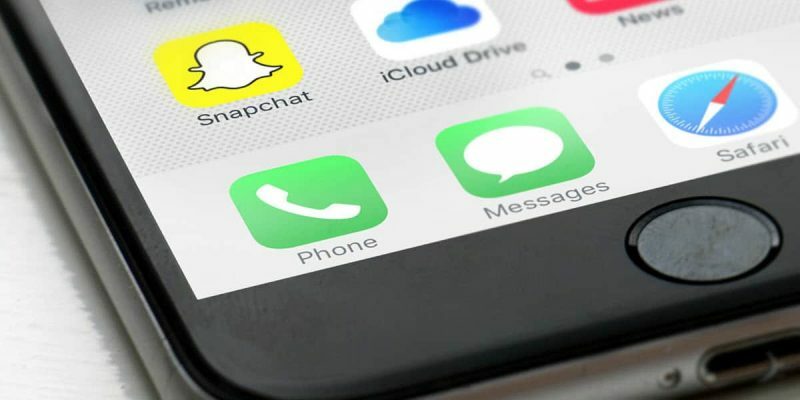 Ever since it was released, Snapchat’s developers have created new methods to explore other people’s stories as well as share your own. Maps are one of these features and they let you find and view other Snapchat users’ stories on a map, just like they can yours. Some people see this as a privacy intrusion, or at least as a security risk. 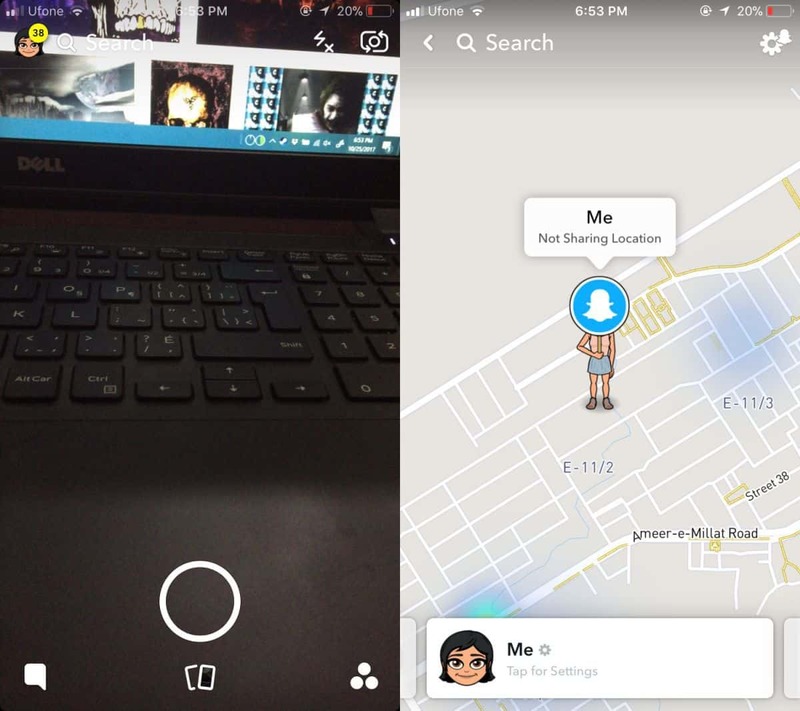 For this reason, we received the option to enable Ghost Mode in Snapchat, which would make us invisible on the map. Thanks to a recent update this option became even more customizable so now you can temporarily switch to Ghost Mode in Snapchat. Until Ghost Mode expires you will remain off the map although in order to use it make sure your Snapchat app is updated to the latest version. If you want to temporarily switch to Ghose Mode in Snapchat you must first open the app and pinch inward on the main camera view finder screen or on the Stories screen. Then, tap the cog wheel icon in the upper right corner of the screen. This will open Snapchat’s settings screen. There, enable the Ghost Mode option at the top and you’ll be prompted to select the duration. You can choose between 3 hours, 24 hours or “until turned off”. Since only the first two options are temporary, those are the ones we’re interested in for the purpose of this guide. If you already had Ghost Mode enabled, then disable it and then re-enable it to see these options. The third option called “until turned off” will keep Ghost Mode active until you manually disable it. 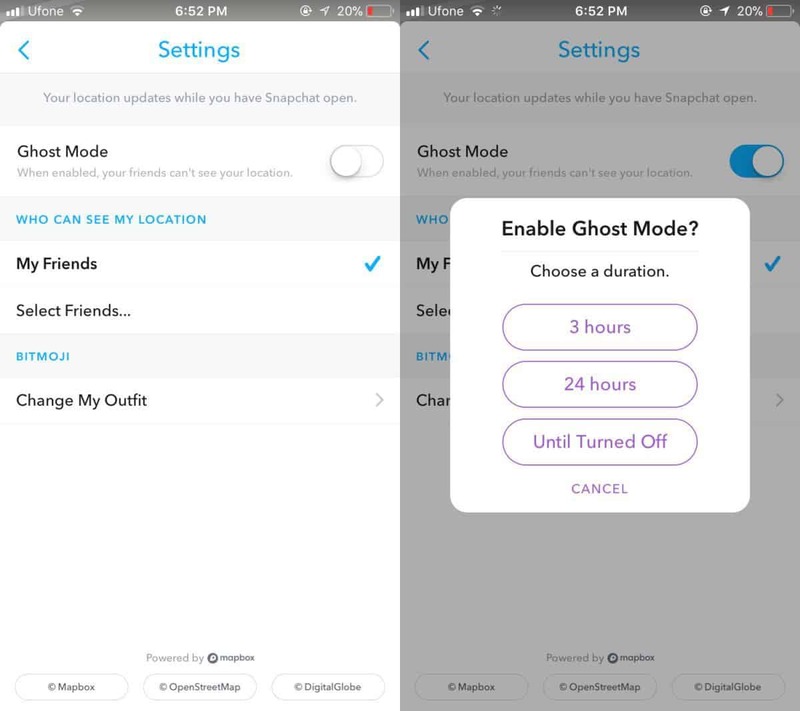 For now, Snapchat doesn’t allow us to enable Ghost Mode for a custom time period so it’s up to you if you want to use one of the preset intervals or keep it off indefinitely and enable it only when needed. Even if Ghost Mode is active, it’s still possible to create geo-fenced stories. It’s also worth mentioning that Ghost Mode doesn’t revoke location access for Snapchat or disable location-based filters in the app. The feature only prevents other users from seeing or finding the stories you posted in a certain place.